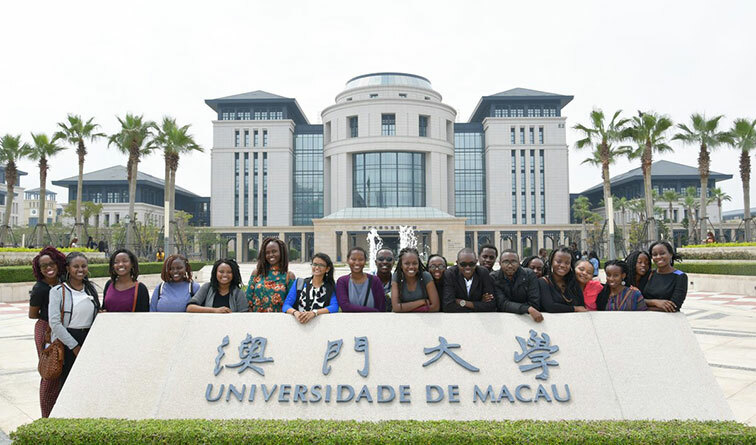 Students from the Strathmore University Institute of Mathematical Sciences (SIMS) toured Hong Kong for one week between March 25th and 1st April 2019 for an exciting international academic trip that brought together 86 students from BBS Actuarial Science, BBS Financial Economics, and BBS Financial Engineering. Each year, Strathmore students travel to various destinations around the world that are of relevance to their area of study; and the SIMS team chose the vibrant city of Hong Kong this year because of its unique position as one of the leading global financial hubs which also serves as the bridge between China and the world. For this academic mission, the students set their target on learning from experts working in the various financial services companies headquartered in the skyscraper-studded skyline of Hong Kong. In addition, they visited some top business schools in order to explore graduate programmes that could be of interest to pursue after graduating from Strathmore. Some of the top companies the students visited on various days of the trip included AXA insurance, Standard Chartered bank, Refinitv (formerly Thompson Reuters), Hong Kongstock Exchange (HKEX) and the Monetary Authority of Hong Kong. At Standard Chartered, the students were in for a warm surprise when they were welcomed by the banking group Global Chief Executive, Bill Winters. He engaged the students in an array of topics that included the bank’s booming business in the African region in the area of transaction banking and trade finance. He also welcomed the students to apply for the numerous international opportunities that exist in Standard Chartered Bank. Based on excellent technical infrastructures, Hong Kong offers itself as an exciting hub for local and global Fintech startups and enthusiasts. The students got a first-hand account of the new developments in Fintech at Refinitiv. The learning journey continued at one of the world’s leading insurance companies, AXA insurance. This visit gave future actuaries from Strathmore an opportunity to learn from AXA’s actuaries about how they make the best decisions and develop insurance products to reduce the financial and insurance risks that AXA faces. They also delved into the multiple facets of the actuarial profession, from pricing new products to financial management to strategic decision-making to predicting customer behavior. The Belt and Road Initiative, also known the Silk Road Economic Belt, is a development strategy adopted by the Chinese government involving infrastructure development and investments in several countries and international organizations in Europe, Asia, Middle East, Latin America and Africa. The East African region is one of the most important pillars of the initiative in Africa and this academic trip gave the students an inside look at China’s plans with the huge infrastructure projects in the region. Engaging discussion on this topic were held in various sessions with professors from the business schools of Hong University of Science and Technology, University of Hong Kong, Lingnan University, University of Macau and Chinese University of Hong Kong. The visits to these top business schools also presented the learners with an opportunity to discover study opportunities in Hong Kong and Macau in various graduate programmes like business analytics, economics, financial analysis, global finance, investment management and other business disciplines. At the Chinese University of Hong Kong, Prof Andy Wong of the faculty of business took the students through an engaging lecture about the Hong Kong economy in relation to the Greater Bay area project. The Guangdong-Hong Kong-Macao Greater Bay Area (Greater Bay Area) comprises the two Special Administrative Regions of Hong Kong and Macau, and nine other municipalities in China, and the students learnt how this project will link these cities into an integrated economic & business hub and help China become a service economy. This article was written by Victor Anyura.